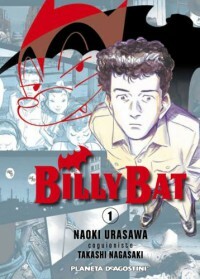 Billy Bat nº 01 (Manga) - Takashi Nagasaki;Naoki Urasawa - review - Welcome to my blog! I have to say really intrigued by this!!!!!!! Mr Urasawa always Does that to me though! Can't wait to read the rest! !